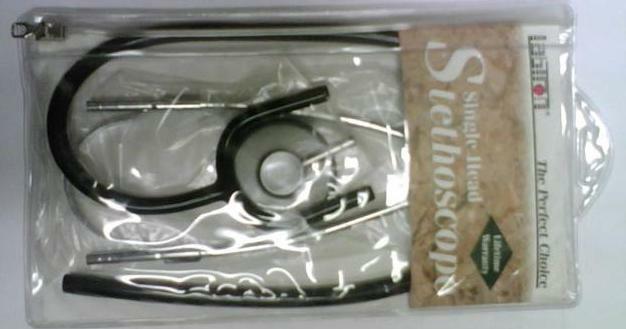 A teaching stethoscope from Labtron (Lumiscope). Closeout special. Not a sprague-rappaport head but a regular dual head, so you can do most things with this you could with the Ferrari of teaching stethoscopes, but don't expect it to make you the life of the party either. Not that having any teaching stethoscope will make you the life of the party anyway. Available in black only. Comes in its own box. Made with latex-FREE tubing.